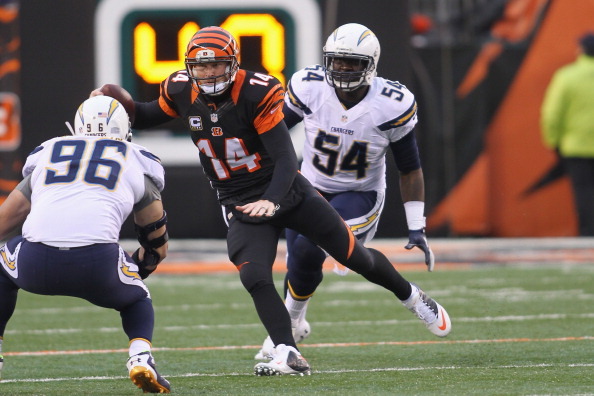 Two teams that are looking to have a big impact on the race in the AFC will do battle Sunday when the San Diego Chargers travel to Cincinnati to take on the Bengals at Paul Brown Stadium. San Diego looks to go to 2-0 for the first time in three seasons, they had to work hard last week after falling behind by 18 points at home to the Lions to rally for a 33-28 win. Philip Rivers connected on a pair of touchdowns in the final 20 minutes while finishing 35 of 42 for 404 yards. He also set a team mark by completing his final 20 passes and tied Dan Fouts atop the Chargers’ all-time list with his 254th TD. “I couldn’t be happier for our football team,” coach Mike McCoy said. The Chargers defense needs a quicker start, as they allowed the Lions to build a big lead, but did hold Detroit for the most part in the second half while the Bolts offense rallied. The Bengals didn’t need much help last week, as they dominated the Raiders, scoring all of their points in the first three quarters, and former first-round pick Tyler Eifert had his best day as a pro while helping his team finish with 396 yards. 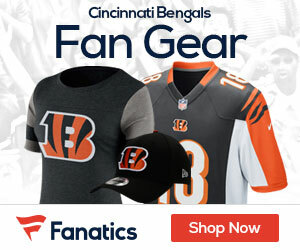 The tight end had nine catches for 104 yards and a pair of touchdowns from Andy Dalton. The TE is poised to have a big season with Dalton looking at him as well as star wide out A.J. Green often. Cincinnati is facing San Diego for the first time since a 27-10 wild-card loss at home in January 2014. The Bengals won the past three regular-season meetings with San Diego, the most recent in December 2013, and at home they should have the edge here against a west coast team heading East.